I'm still not 100% sure what my plans for this blog are, at the moment it seems to be a slightly rambling diary - mostly read by family, friends and artists I mention! But as a self confessed bibliophile I also want to talk about some of the books I am reading. I know I am a little behind the fray here - as it was part of the Richard & Judy Bookclub in 2006 and as such there are lots of amateur and professional reviews of it out there - but since when has excessive coverage ever stopped me adding my twopence worth to any conversation!? 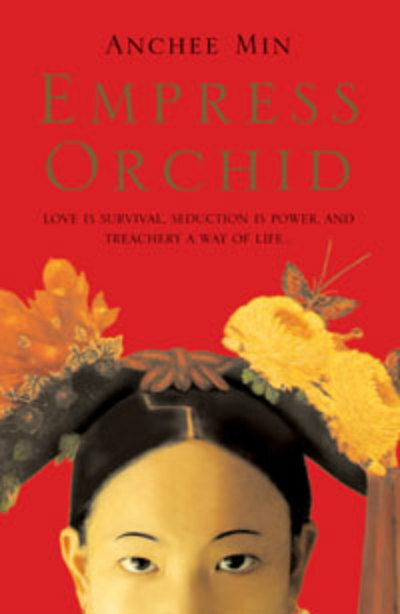 This is a fictionally realised story based on the real life of the Last Empress of China. The culture, etiquette, fashions and architectural surroundings are exquisitely described, the descriptions of the highly ritualised and stylized life within the forbidden city are beautifully vivid and compelling, but what caught me by surprise was the very real tension and danger inherent in the lives of the royal concubines and wives, and their attendant eunuchs - and the essentially misogynistic / repressive attitude against which Orchid struggles . I am not often a fan of stories told in the first person - too often the 'voice' of the narrator is inconsistent, intrusive and improbable - but in this case it is completely engaging and plausible. The book is also an eye opener when it comes to behaviour of 'westerners' in China at the time, the reality of the opium wars and the whole scale destruction wreaked on the forbidden city. I am looking forward to reading the sequel "The Last Empress"
Labels: literature reading books fiction bibliophile "Empress Orchid" "Anchee Min" "book review"